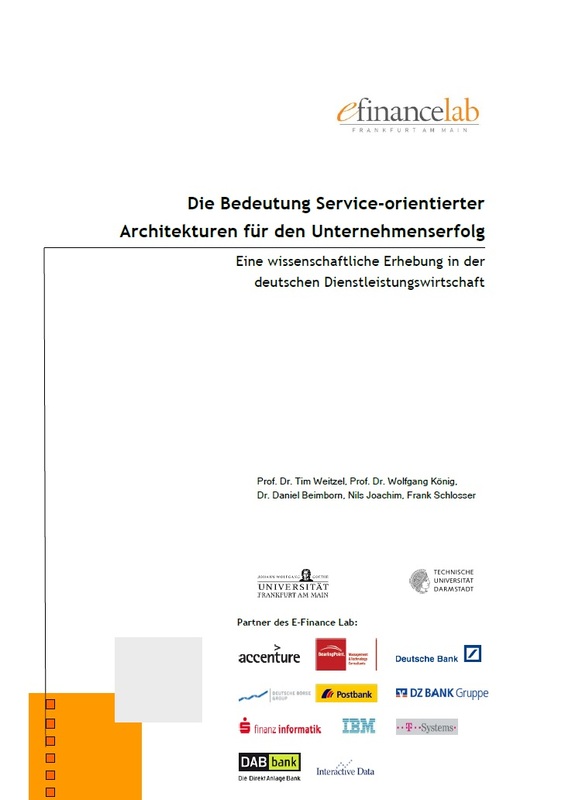 This literature review synthesizes existing research in the field of Service-Oriented Architectures (SOA) from a business perspective and integrates results from 40 works to offer researchers an overview about the existing body of knowledge in this research field as well as a research agenda, which unifies and extends previous efforts. While the literature regarding the technologies and design principles for SOA and even Service-Oriented Enterprises (SOE) converges, especially research regarding the identification of determinants influencing SOA adoption, governance mechanisms for effectively implementing SOA, and regarding SOA's actual business impact is needed. Previous empirical research indicated promising factors in each of these fields. However, future research should especially draw attention to holistically cover each of the research areas. Moreover, extending the use of empirical research methods will further improve our understanding regarding the importance of different adoption determinants, governance mechanisms, and the actual business value of SOA. This research investigates the economic benefits which Service-Oriented Architectures (SOA) promise. While more and more organizations adopt SOA, virtually none of them is able to predict the realizable business value of SOA ex ante. In contrast to the mature literature on the technological aspects of SOA, the organizational impacts of SOA are not explored in detail in the academic literature yet. Consequently, this proposal addresses two problems identified in current SOA research: First, a SOA adoption model is developed to evaluate the determinants of an organization's decision to adopt SOA. Second, a research model for enhancing the understanding of SOA's business value is developed. The first part of the proposal will draw on the technology-organization-environment (TOE) framework in order to increase the knowledge about the dissimilar impacts of different determinants which influence an organization's decision concerning the adoption of SOA. To address the second part of this research proposal, the model regarding the business value of SOA is based on the dynamic capabilities theory. Comparing organizations, which have adopted SOA with varying degree with others which have not adopted SOA at all, allows to determine the realistic economic impacts of SOA on an organization. Moreover, the business value model further investigates IT flexibility and IT business alignment as promising mediating factors which support the actual realization of SOA's potential business value.